mile journey and how you can profit. Hello I’m John Schlimmer. After 27 years of being my own boss…In the early summer of 1999…my business income had declined forcing me to look at other alternatives. At age 52…I’m thinking what can I do? The thought came to me, “you can drive!” In early September of 1999…I purchased a new 1999 Chevy…3500 express cargo van and decided to start a delivery service. Much to my surprise…the delivery service turned out to be an 8,000 – 10,000 miles a month adventure…delivering all over the USA. Can you guess what I was doing sometimes twice a month? Changing my oil every 5,000 miles. Not fun especially when you’re away from home and your engine oil needs changed. 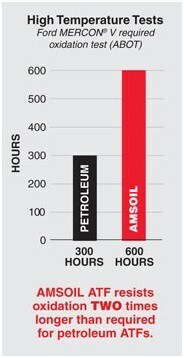 I’d heard about the Amsoil products in April of 2000 and their unbelievable 25,000 mile oil change! In May of 2000 at 68,250 miles on my 99 Chevy van…I decided to put the AMSOIL products to the test. 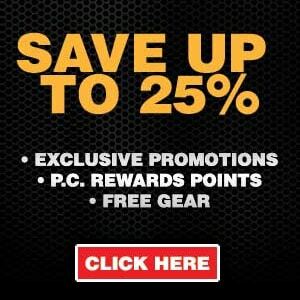 Amsoil…A Change You Can Count on! I installed the Amsoil 0W-30 synthetic signature series oil in the engine along with the SDF (now Ea/EaO) oil filter…(SDF oil filter was good for 12,000 miles back then). Had the dealership install the Amsoil synthetic automatic transmission fluid and a Wix Filter in my transmission…the 75W-90 synthetic gear lube in the differential. I purchased the AMSOIL multi-purpose synthetic grease and greased all zerk fittings on the front suspension including the drive shaft. Did that ever pay off big time too. Went 1.2 million miles before replacing the front suspension. Most over the road van drivers would go maybe 400,000 miles before replacing the suspension. Now let’s stretch your “deeply ingrained belief” about changing oil…to the max. While pouring the AMSOIL 0W-30 synthetic oil into the filler tube of my engine…I read on the back of the quart bottle…was good for 35,000 miles! One immediate benefit…fuel mileage improved almost 1 mpg! (Savings of $1700 per year). Instead of spending $600 a year on oil changes…it dropped to $300…PLUS…the down time of getting an oil change was turned into $$$ by spending more time on the road and getting paid to see the good ole USA in my Chevrolet. On my first oil change…I drove 35,500 miles…changing the Amsoil SDF oil filter every 11,700 miles. In the meantime…I ordered an oil analysis kit from AMSOIL. At 103,750 miles (35,500 miles on the oil)…I drained the oil…sent a sample into AMSOIL A week later with report in hand…I called Amsoil to go over the report with me. I never tested my oil after that. However…due to the nature of my delivery service…I had lots of idle time…sitting and waiting to pick up another delivery. In the heat of the summer…I would idle the engine with the AC running to cool the inside of the vehicle…and in the winter time I would idle the engine with the heater running to warm the inside of the vehicle. I knew idling was tough on the engine and transmission oil. If I had lots of idle time over a 3 month period…I would change the oil at 25,000 miles. When Amsoil came out with the EaO 25,000 mile oil filter…I loved that because now I didn’t have to change my oil filter as often. After that…I began changing my engine oil and oil filter every 25,000 miles. Amsoil…Don’t Leave Home Without it. AMSOIL Signature Series 0W-30 Synthetic Motor Oil contains specialized anti-wear technology. Its durable, high temperature film strength effectively separates metal surfaces to reduce wear even under the most grueling conditions. Tests prove that AMSOIL Signature Series 0W-30 provides better protection against wear than other motor oils…helping engines to last longer. 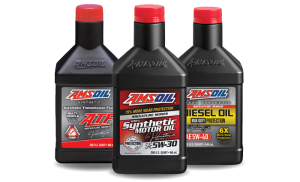 Amsoil Synthetic oil…the best motor oil for your vehicle. 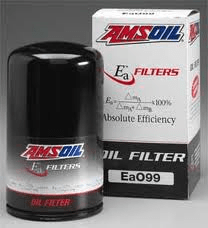 EaO Oil Filter…Mile After Mile! Ea Oil Filters feature advanced full-synthetic nano fiber technology and rank among the most efficient filters available for the auto/light-truck market. When used in conjunction with AMSOIL synthetic motor oils, AMSOIL Ea Oil Filters are guaranteed for extended service life. After driving my 99 Chevy van over 1,270,000 miles…using the Amsoil synthetic transmission fluid…it still has the original transmission…never been overhauled. It still shifts as smoothly as the day I purchased it. The only maintenance I’ve done to the transmission is change the Amsoil Synthetic Transmission oil and filter every 150,000 miles. Now that’s extreme lubrication! (Note…city driving or short distances recommended every 100,000 miles). 1 million miles…went through 5 transmissions. Cost to replace a transmission…$3500 x 5 = $17,500. original transmission at 1.2 million miles. Amsoil transmission fluid gives you Exceptional Hot – and Cold Temperature Performance plus thermal stability. Hot temperatures are no excuse for poor reliability. Naturally heat resistant and heavily fortified with anti-oxidants. Amsoil ATF exceeds the most demanding oxidation requirements. Amsoil ATF delivers outstanding protection against sludge and varnish deposits that clog narrow oil passages and contribute to clutch glazing. Cold-Temperature Fluidity – Cold, thick automatic transmission fluid lengthens shift times and reduces energy efficiency (fuel economy). AMSOIL Synthetic Multi-Vehicle ATF is waxfree and delivers extraordinary cold-flow properties (-60°F pour point). Shifting is more responsive, energy efficiency is improved and warm-up times are reduced. Most drivers are unaware that transmissions commonly operate under severe service and require shorter fluid drain intervals. AMSOIL Synthetic Multi-Vehicle ATF is a long-life fluid capable of extended service intervals. It provides an extra margin of protection, especially when fluid change intervals are missed, during heavy use and even during abuse. Drivers can count on AMSOIL Synthetic Multi-Vehicle ATF to provide protection beyond conventional fluids. Thanks To Amsoil Synthetic Grease! I’ve hit so many craters in the road…at around 600,000 miles…I had to replace my original rims. They could no longer be balanced because they were out-of-round (bent)! The reason I mentioned my rims being bent…is because that’s an indication of the beating the front suspension takes day after day…mile after mile. What you’re about to read in the next paragraph is absolutely amazing. of the Amsoil synthetic products. At 792,000 miles…I finally had to replace the ball joints. The left front ball joint that I replaced at 278,795 miles…due to a tear in the protective rubber…didn’t need replaced, but I changed it too. The steering arms and tie rods are all still original at over 1 million miles…thanks to Amsoil synthetic grease. I use the Amsoil Multi-purpose synthetic grease to give me the maximum protection against wear and corrosion on the front suspension, wheel bearings and drive shaft. NOTE: June of 2013 at 1,250,000 miles…replaced the original steering arms and tie rods. The technician that replaced them said they were still in decent condition. Watch the Amsoil “Grease Comparison Test” video below. After seeing this remarkable test…then you’ll know why my 99 Chevy van went over 1.2 million miles before replacing the original steering arms and tie rods! Formulated for the severe operating conditions of today’s pick-up trucks, SUVs, heavy equipment and other hard working vehicles. When I added the 75W-90 gear oil…I forgot about it. Big mistake…at almost 500,000 miles…the differential bearings had to be replaced. Found out later…differential oil should be replaced every 150,000 miles. At around 1.1 million miles…I had to replace the entire differential housing due to the axle/differential splines wearing thin. I had the limited-slip differential (great for traction) and from my understanding…they’re a little more delicate than your standard one wheel drive differential. I hauled many heavy loads over long distances…demanding heavy duty protection from only three quarts of oil…the capacity of the differential. When I replaced my engine at 930,599 miles…the Chevrolet dealer service manager in Jackson, TN…advised me to replace the injectors. When I told him they were the original injectors…he looked at me with disbelief. He’d never seen injectors last that long. Amsoil suggest using a bottle of the PI fuel treatment every 4000 miles. Since I drive over the road 8-10,000 miles a month…I would add the PI treatment once a month. I would normally (depending on how much idle time I had) pick up an extra MPG when adding a bottle of the PI. So…did PI help keep my injectors operational over the more than 900,000 miles? I know what I think. What do you think? detergent, it is unsurpassed in cleaning combustion chamber deposits, intake valve deposits and port fuel injector deposits. AMSOIL P.i. helps maintain peak engine performance, fuel economy and power in newer low mileage engines. 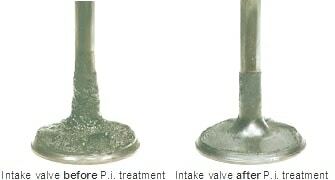 Click here for info on PI fuel treatment.